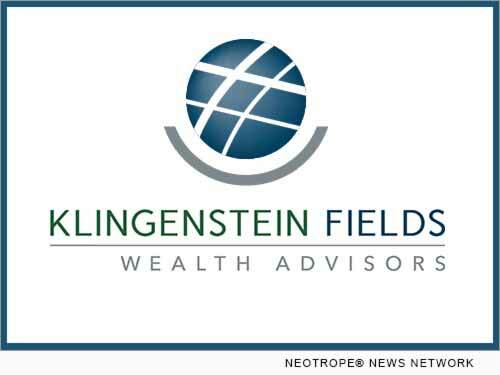 NEW YORK, N.Y. — Klingenstein Fields Wealth Advisors (KFWA), a leading wealth management firm with approximately $3 billion in assets under management, recently volunteered a day of service at God’s Love We Deliver (GLWD), a New York-based charitable organization. “GLWD is an amazing organization committed to providing nutritional care to individuals who are unable to do so for themselves, and it is an honor to be involved in such a worthwhile effort,” said Kenneth D. Pollinger, Co-Chairman and CEO of KFWA and a participant in KFWA’s volunteer activity at GLWD. GLWD’s (www.glwd.org) mission is to improve the health and well-being of men, women and children living with serious illnesses by alleviating hunger and malnutrition. From its facilities in New York and with help from many volunteers, the organization prepares and delivers over 1.5 million nutritious, high-quality meals annually to vulnerable individuals who, due to their illnesses, are unable to obtain or prepare meals for themselves.